The Manchester walking football Over 65 May 2018 session was the final days fixtures of the Spring League. Once again the weather favoured us with blue skies and little wind. For me at least, the day was spoilt by the presence in the car parking area of a group of itinerant good for nothings. We won’t call them gypsies as they are way below the social scale of these people. With feral children, who know their rights, passed on by their elders, it seems they are untouchable and they play on this. Parasites on society where ever they go, the authorities have their hands tied trying to remove these dregs of humanity, who leave mounds of rubbish costing the taxpayer thousands of pounds tidying up after them. It’s a great pity they don’t set up camp in the residential areas where our useless MP’s live. The lax laws on how to deal with them would soon be changed. I would suggest that the Heywood Sports Village install low level barriers that prevents access to caravans. This isn’t the first time they have camped at the HSV. The last sentence in this link from 2013 hasn’t been acted upon either. Rant over. Now down to the football. With only nine games left to complete the fixtures on this Manchester walking football Over 65 May 2018 session, it was to be a short day of walking football. Twenty three goals were scored in the nine games played, which must be a record. With the league already won after the April session, Rochdale AFC Strollers wound up their campaign with another two wins to take their points tally to forty two from the eighteen games played. 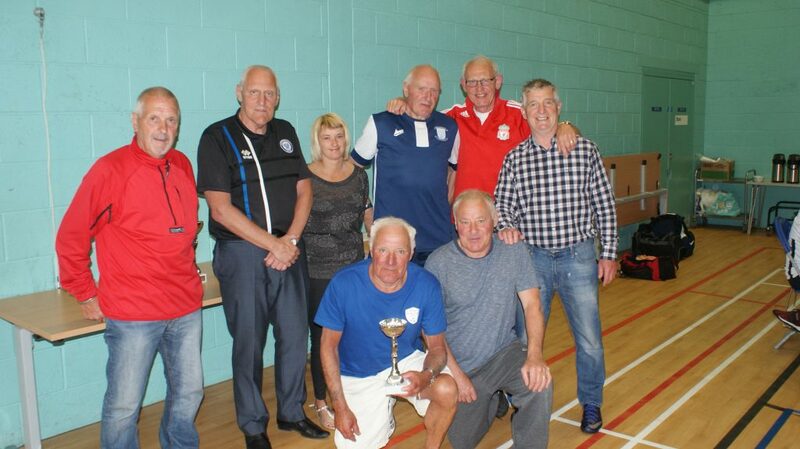 With no losses and no goals conceded they are worthy champions of this first Over 65’s league. Preston North End Senior Whites finished second with thirty one points. They had three wins and nine goals for on the day, with just one goal against. Vintage Relics finished in third position on twenty five points, with two wins and a loss in this session. Only one point separates the other four teams. AFC Blackpool Senior Seasiders on fifteen points and the final three all on fourteen points. The Blackpool lads with borrowed players had one win and two losses. Tameside Striders who were propping up the table for most of the season and without a goal to their name, suddenly found their shooting boots putting three past Wakefield Wanderers. The Striders finished with a goal difference of minus six, after a win and a loss. 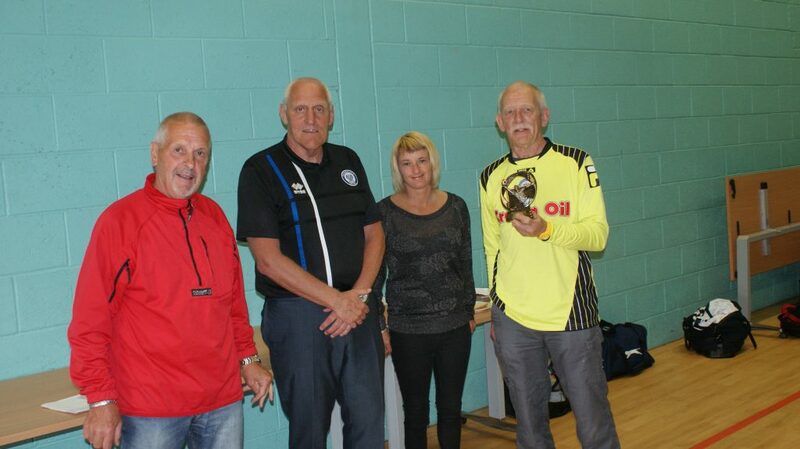 Sixth spot went to Rochdale Striders, with two losses and a goal difference of minus ten. Wakefield Wanderers, another team under strength, finished bottom. They had three losses, shipping ten goals without reply and a goal difference of minus thirteen. The Golden Glove Award, deservedly went to Rochdale Strollers Ron Blakeley with no goals conceded in eighteen games, well done Ron, a great record. The Golden Boot Award was won by Preston’s Ray Richards who scored five in this session to take his total to ten, four ahead of his nearest rival, Rochdale Strollers Bill Charlton on six. Again, congratulations to Ray. 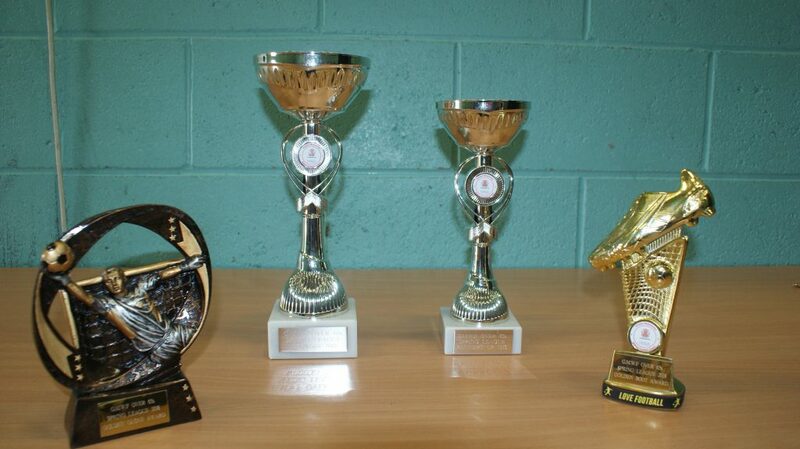 As mentioned the Preston team came runners up and took that trophy. 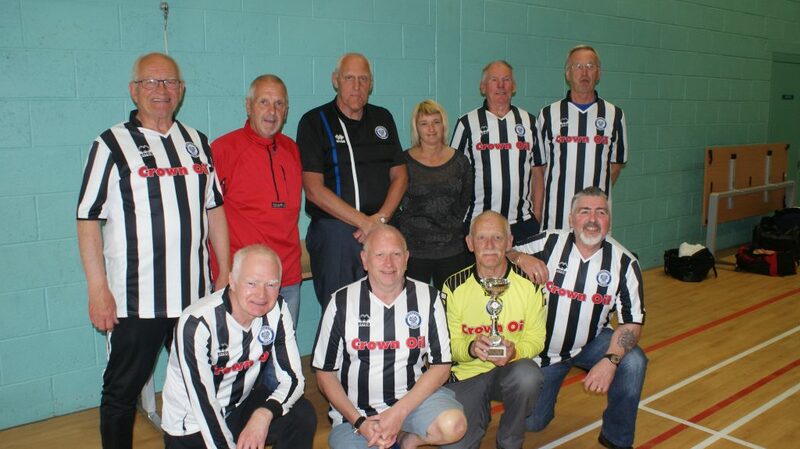 The winners and in my opinion the best walking football side on view in this league were Rochdale Strollers, who play walking football as it is meant to be played. Congratulations to the Rochdale lads, that trophy cabinet must be groaning by now. 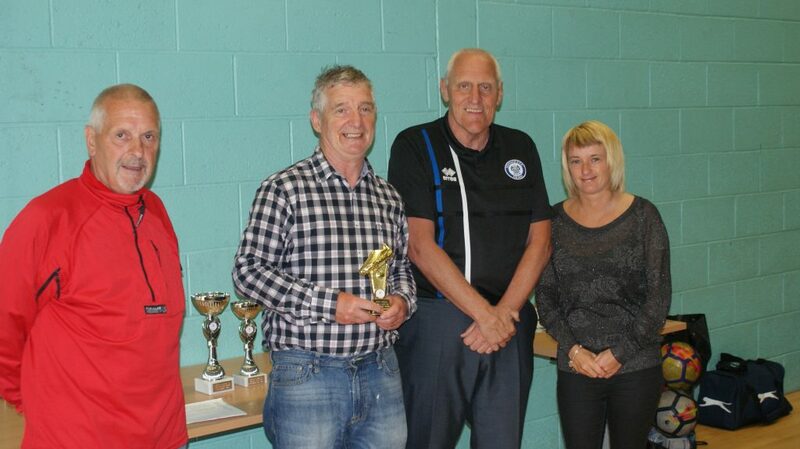 Former Oldham Athletic and Rochdale FC player Keith Hicks presented the trophies and the day’s events went well. Thanks to Barry Woodburn for his registration duties and photography. Plus, as always to Paul Gardner for the venue booking and excellent after match buffet and not forgetting our excellent referees. Hopefully we will have two divisions of the over 65’s league in the Autumn season, where once again we will revert to the standard fifteen minute games. If you enjoyed this Manchester walking football Over 65 May 2018 Spring league session or anything else you would like to say, comments are welcome below. Another boring day at Heywood, the usual rubbish. Well run and organised as usual, excellent buffet prepared by that bloke, what’s his name, up all night preparing. So all in all, nothing to pick holes in, organisation, referees, buffet etc etc. Just another boring day at Heywood. Looking forward to Thursday’s 70’s comp, expect that’ll be just the same, a boring and nothing to moan about day. Oh one more thing, the Footgolf, do you need a club foot to play? Awful I agree, you just cannot win, even the weather was sunny. Only one way for the Wakefield lads and that is up the table. After 10 scoreless draws in the the first 12 games we conceded 10 in the last 3, we need to sack the keeper! Has been a well organised and a well run league with some very effective referees, so Wakefield would like to thank Bill, Barry, Paul and all the officials. Congratulations to the Rochdale lads.